The 2018 NFL season has ended and the Patriots are Super Bowl champions. It is time for every NFL team to think about the offseason and plan for next year. Teams can start using their franchise tags on February 19th, in about two weeks. Then, on March 13, the free agency period starts and players can sign with new franchises. Free agency, including the quarterback market, always has a major impact on the upcoming season. The 2019 quarterback market is not as robust as last year’s draft-wise. In addition, there aren’t flashy names at the top of the free agent class like Drew Brees and Kirk Cousins last year. However, some of the veterans that could join new teams as starters this season have the ability to make an immediate impact. Some are on the free agent market, and some are available via trade. The biggest quarterback names in free agency in the 2019 quarterback market this offseason are Nick Foles and Teddy Bridgewater. As most NFL fans now know, Foles has had a remarkably up and down career. He went from having a Pro Bowl, 27 touchdown/two interception season with the Philadelphia Eagles to being exiled on Jeff Fisher’s Rams. Then, he almost retired but revived his career under Andy Reid. Finally, he returned to the Eagles as a backup, went on a magical Super Bowl run after Carson Wentz’s season-ending injury, winning Super Bowl MVP. 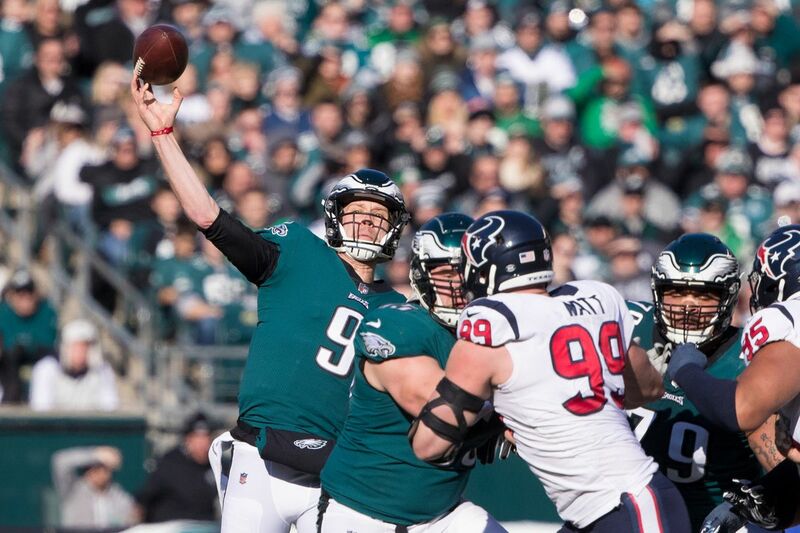 This year, after another injury to Wentz, Foles took over a 6-7 team and helped them win four straight games, making a run to the divisional round. Foles is on the radar of a bunch of NFL teams. Some of these teams, such as the Jacksonville Jaguars, have a talented roster but are a quarterback away. Others, like the Miami Dolphins, are in a state of transition and may be looking for a quarterback to fill in for a few years. The Eagles could franchise tag Foles and try to trade him for a draft pick. However, that may be against the Collective Bargaining Agreement (since their intention is not to keep him on the roster.) Either way, through trade or free agency, the 30-year-old Foles will find a new home. He will look to have continued success as a starting quarterback. Teddy Bridgewater, like Foles, also had a promising start to his career. However, after a Pro Bowl season when he led the Minnesota Vikings to the playoffs, Bridgewater suffered a devastating knee injury that kept him out for nearly a year and a half. Last year, he signed with the Jets to prove himself in training camp and preseason. Then, the Saints traded for him and made him their backup quarterback behind Drew Brees. Bridgewater seems to be healthy, as he played a full game in Week 17 after the Saints clinched the number one seed. While he didn’t play great in that game, the former Viking did show shades of his previous potential. 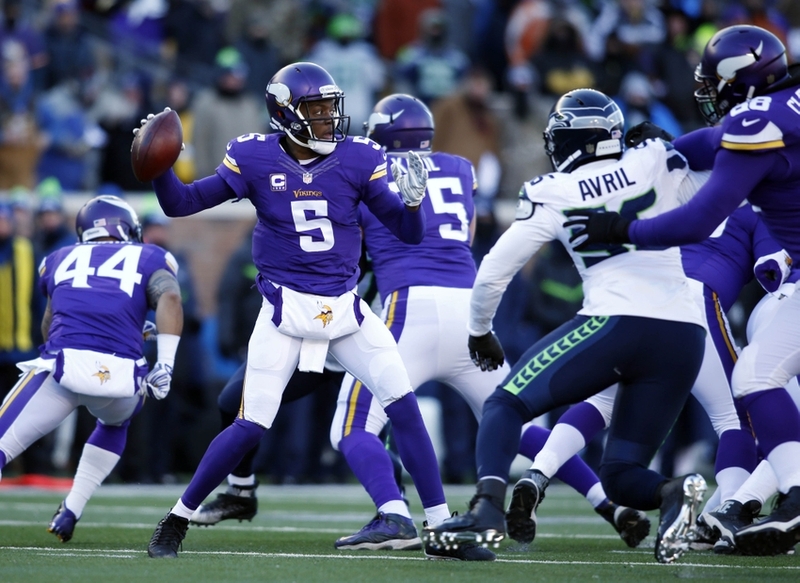 Some team may consider giving Bridgewater a shot to be their quarterback of the future. Since this year’s draft class is far from a sure thing and Bridgewater is only 26 years old, that may not be a bad decision. He was a solid but unspectacular quarterback before his injury, with passer ratings between 85 and 90 in both of his first two years. Bridgewater most likely will not be an elite-tier quarterback because he doesn’t have the strongest arm or greatest athletic traits. But because he is accurate and smart, a team could potentially build around him and make playoff runs in the future. Other, less-touted free agent veteran options include Ryan Fitzpatrick and Tyrod Taylor. They both have had limited success as starting quarterbacks in the past, but are capable of providing a solid eight games for one season. Fitzpatrick, nicknamed “Fitzmagic” early this year, was lighting it up in his first couple games with the Buccaneers. He was a spark-plug in spurts, with three games over 400 yards passing and four games with at least three touchdowns. Back in 2015 with the New York Jets, Fitzpatrick had 31 touchdowns with 15 interceptions. The team ended with a 10-6 record and on the fringe of making the playoffs. Fitzpatrick has the firepower to get going for a few games, or even a long stretch, if provided with good weapons. Tyrod Taylor was supposed to play this season for the Browns and keep the seat warm for Baker Mayfield. However, Mayfield came in the game in Week 4, played well and never gave the spot back. Taylor is certainly limited due to his erratic accuracy and lack of arm strength. However, he is generally reliable for being a game manager and making one or two splash plays a game. 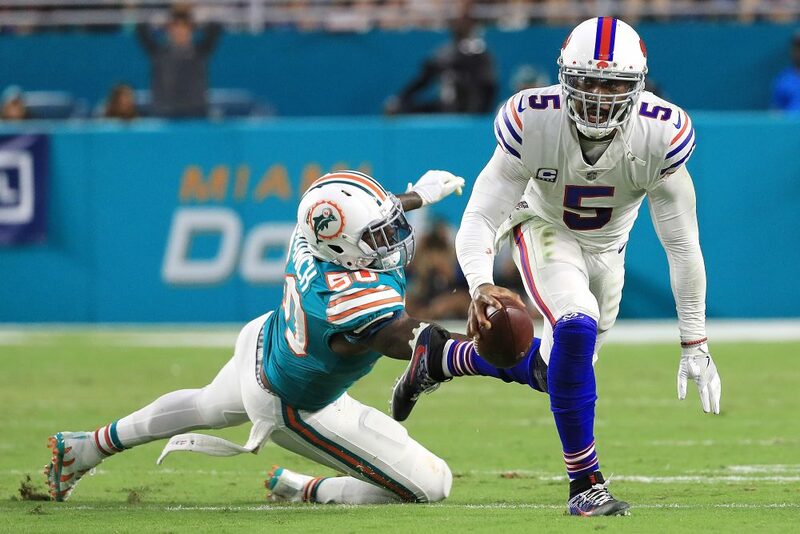 In three seasons with the Buffalo Bills, Taylor started at least 14 games each year. The highest number of picks he threw six, never reaching close to double digits. Of course, the highest number of touchdowns he threw was also low, at 20. But he did help take the Bills to the playoffs just a season ago, the franchise’s first playoff berth of the 21st century. Taylor will not put a team over the top, but he also won’t hold a team back from reaching its potential. He is even a threat on the ground, with over 400 yards rushing and four touchdowns three times. Both of these guys are a stopgap option at best, allowing a team to still be competitive while nursing a young quarterback. A team might draft a quarterback for the future but want to hold off on playing him. In that case, picking up either Fitzpatrick or Taylor would be a smart decision. These guys are best as backups and would be marginal fill-in options for a few games in case of injury.